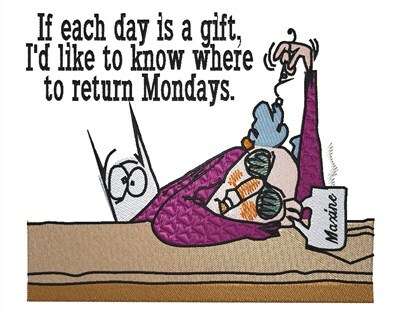 Use this funny Maxine cartoon and saying for your comical projects. 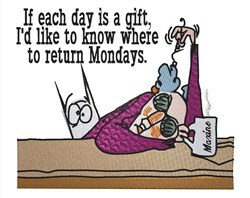 King Graphics is happy to present Return Mondays? machine embroidery design which has 32006 stitches and is [133.10 mm x 113.79 mm] large. If you would like to view more embroidery patterns please search on our embroidery designs page.